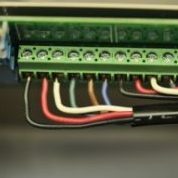 All WaterLine Controls WLC models can be fitted with a secondary PCB to operate two different sensor probe assemblies. Now two probes can be mounted into two different environments provided there is an equalization line between them. The controller can operate the same device(s) and will need a properly valved system so it can share either the same Fill valve or pump when it decides to operate. The sensor are which ever style you choose. The switch is done with a single switch located on the WaterLine Controls panel. No other parts are needed. e.g. 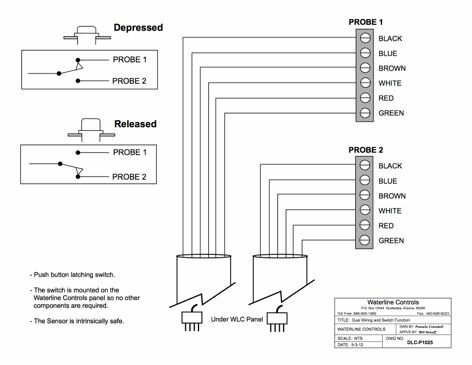 WLC-5000-110-DUAL-50/50 Is a 5000 Controller with a dual static pipe and sensor and a 50 ft wire lead on each of the sensors. Includes the controls and installation set-up for both sensors and two sensors. The Dual can be used on any model except the WLC-6100T. The standard lengths of the sensor rods are 17, 16-3/8, 15-1/2, 14 & 10-3/8. These can be cut in the field by the installer to desired lengths but normally these are acceptable.